Another super PAC is coming to the aid of Anthony Brown’s foundering campaign. America’s Families First Action Fund, a union-funded super PAC is dropping big money on ads attacking Larry Hogan. According to Open Secrets, America’s Families First Action Fund spent a little over $6 million in the 2010 election cycle—the vast majority of it in opposition to Republicans. 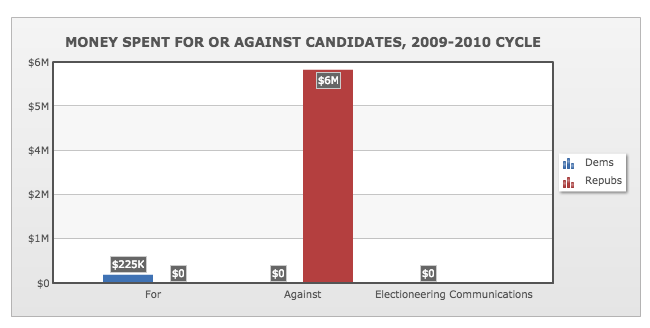 The group was one of the leading Super PACS in spending in the 2010 cycle. America’s Families First pent $400,000 opposing Rep. Andy Harris’s successful bid for Congress. According to Open Secrets America’s Families First made no independent expenditures in 2012, and has no record of independent expenditures made in 2014. Another Super PAC, One State One Future, is at the center of a campaign finance complaint against Brown. Larry Hogan, Brown’s opponent has filed a complaint with the Maryland State Board of Elections alleging illegal coordination between the Brown campaign and One State One Future. Both One State One Future and the Brown campaign share the same fund raising consultants, and donors. That Super PACs, children of Supreme Court’s Citizens United decision are aiding Anthony Brown’s campaign is a meal rich in delicious irony. It was only four short years ago the Maryland Democratic Party shrieked like banshees over the prospect of “limitless influence” by big corporations. 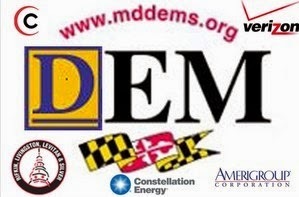 Yet in the current cycle some of the party’s largest donors include, AT&T Comcast, Baltimore Gas & Electric, Exelon, First Energy, Lockheed Martin, and the corporate parent of Maryland’s chief lottery contractor. Yet for all the hypocritical Democratic spoon banging over money in politics, Brown’s money advantage, millions in DGA and super PAC ads have not helped. Larry Hogan’s singular focus on economic and fiscal issues has made this race closer and polling shows his message is resonating with voters. All the “dark money” in the world can’t turn a bad message into a good one. Disclosure: I have done paid research work (not this piece) for Change Maryland and Hogan for Governor.